For people age 70½ or older, the Charitable IRA Rollover is a tax-wise way to give to the Texas Tech University System and its universities. Beginning at age 70½, people with an Individual Retirement Account or IRA are required to withdraw a minimum amount from their account every year. This is known as the required minimum distribution. Donors must be age 70½ or older. For John and Nancy Richardson, the choice was easy. 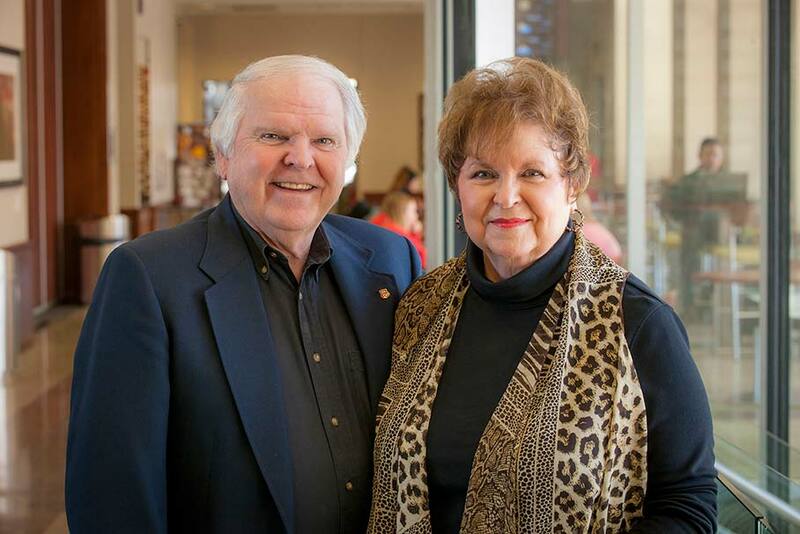 The couple made a Charitable IRA Rollover gift to establish a scholarship endowment that will benefit generations of Texas Tech University students. When you make a Charitable IRA Rollover gift to the Texas Tech University System, you choose where your gift will make an impact. Your gift can be used to support an existing scholarship or faculty endowment. It can also be unrestricted to support one of our four universities or designated to support a specific college or area of study. Charitable IRA Rollover gifts may also be used to pay a pledge or be counted toward the minimum gift required to establish a new endowment. To make a Charitable IRA Rollover gift, simply contact your IRA administrator to initiate the transfer directly to the Texas Tech Foundation. Our professional gift planning team is available to answer questions and help you and your advisers realize your financial and philanthropic goals.